Trombone/Baritone (B.C. or T.C.) and Piano. Composed by Various. Edited by Henry Charles Smith. 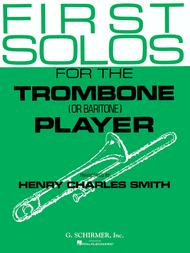 Brass Method. Collection, Classical. 44 pages. G. Schirmer #ED2914. 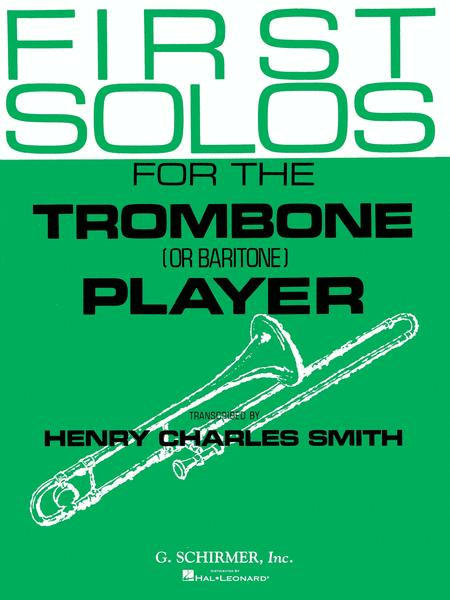 Published by G. Schirmer (HL.50332600). ISBN 1495016633. 9x12 inches. Edited by Henry Charles Smith. Contents: Amor S'apprende • Ave Maria • Caro mio ben • Concerto for Trombone • If with All Your Hearts (Elijah) • Jesu, Meine Freude • Litany • Nina • O Sacred Head, Now Wounded • Sento Nel Core • Sweet Trip • Symphony No. 5 (Schubert) • Symphony No. 5 (Mendelssohn) • Theme from Symphony No. 4 (Mendelssohn) • Was Gott Tut, Das ist Wohlgetan.